Love Blossoms, limited edition print by Jeff Rowland. 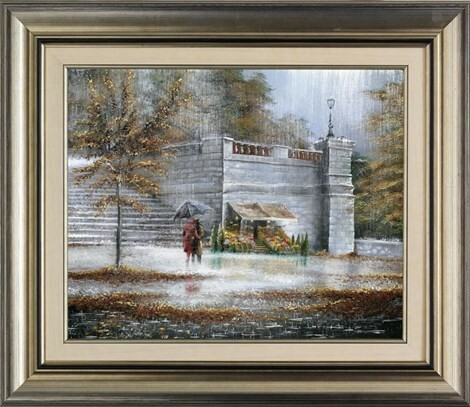 A couple embrace in this romantic limited edition painting by artist Jeff Rowland. Hand signed, numbered with certificate of authenticity. Comes Framed. Hand signed, numbered with certificate of authenticity. Comes Framed.